Eyebrow threading is a convenient and long-lasting method of hair removal suitable for delicate areas of the face. At Blink Brow Bar, we have perfected this ancient Indian method of hair removal. Our skilled technicians offer the best eyebrow threading in Vancouver. All of our personalized beautifying treatments are tailored to suit your wants and needs. In addition to eyebrow threading, we offer a wide range of services including eye brow tinting, eyelash lifting and tinting, microblading, waxing and massage. Our knowledgeable and skilled technicians will help you discover the beauty in your brows. Discover how a perfect arch can compliment your eyes to enhance your natural beauty and allure! Eyebrow threading is an ancient Indian hair removal process that uses a length of 100% cotton thread that is rolled back and forth along your eyebrow line. The twisting motion of the thread traps the hairs and pulls the whole hair from the follicle. What makes threading superior than other hair removal methods is that it precisely targets the hair, leaving a more natural shape and appealing definition. The results of threading last up to 3 weeks, making it a longer-lasting choice than waxing or tweezing. In as little as 20 minutes, you can get beautifully natural and defined eyebrows. It is suitable for those with sensitive skin because the procedure is gentle compared to waxing and tweezing. More sanitary than waxing: threading is more sanitary than waxing because the thread has not been used on anyone else. A new piece of thread is used every time, eliminating the risk or worry of double dipping and unsanitary tools. Fast: unlike tweezing where single hairs are pulled out, threading removes short rows of hair. Wash your face thoroughly and gently before bed on the day of your appointment to ensure your pores are clean. Make sure you don’t wear any eyebrow makeup to the appointment. A little bit of redness is normal after your threading appointment. It should fade after a couple of hours. Avoid any harsh perfumed products around the area you got threaded for 24 hours after your appointment. Harsh perfumes can cause discomfort and irritation to the skin around your eyebrow. Do not exfoliate the affected area for a full 2 days after your appointment. You can resume your regular beauty routine and exfoliate after the full 2 days has passed. What is The Right Brow for Your Face Shape? The right eyebrow shape for your face shape will define and accentuate your face. Knowing your face shape is the first step in finding the best eyebrow shape. A square face is characterized by a strong jawline. The best eyebrow shape for a square face is a soft, curved or angled eyebrow which will soften the lines of the face. Avoid flat eyebrows because it will exaggerate strong jawline. A round face is as wide as it is long. The ideal eyebrow shape for a round face is gently arching eyebrow. The arch in the eyebrow will elongate the face. Avoid rounded brows because it will make the face rounder. An oval face offers the most balanced proportion. The ideal eyebrow shape for an oval face is soft and angled. Avoid exaggerated eyebrow arch’s because it might create a surprised look. A long face is characterized by a high forehead and high cheekbones. The best eyebrow shape for a long face is a flat eyebrow that will create an optical illusion of a shorter face. The heart shape face is characterized by a pointed and defined chin. 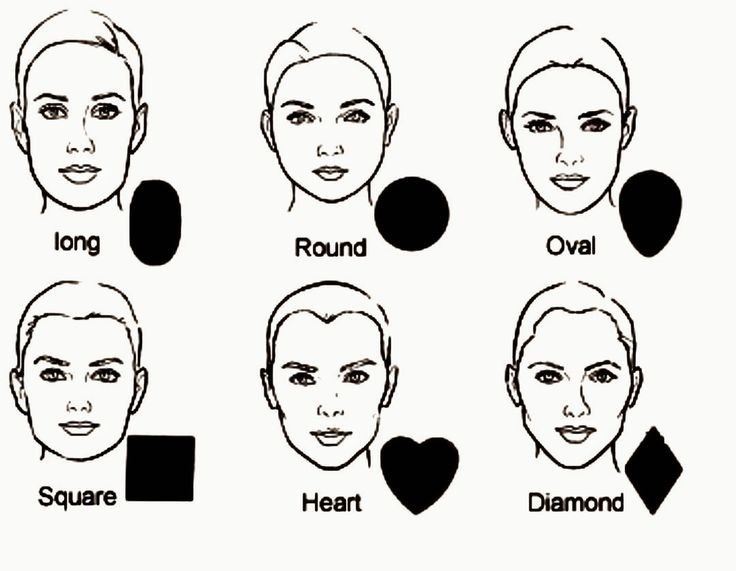 The best eyebrow shape for a heart-shaped face is a soft and rounded eyebrow. A rounded eyebrow will take the focus away from the chin to the eye. A diamond shape face is characterized by a narrow forehead and jawline. The best eyebrow shape for a diamond-shaped face is a dramatic curved arch. This will pull the focus up to the most narrow part of the forehead. If you are unsure about your face shape, don’t worry! Our expert threaders will make sure that you have the best looking brows for your face shape. Owner Kiran has over 20 years of experience in threading and esthetics. She brings her skills, passion and experience to Blink Brow Bar. Kiran’s love and passion for the ancient technique of eyebrow threading is evident in her work and business. We offer nothing but the best personalized eyebrow treatments customized for you. We ensure that all our services are relaxing and accommodating. Complimentary chai is served to all our guests and all eyebrow services include a massage and eyebrow makeup application. Relax and get pampered at one of our two downtown Vancouver locations. Our cutting-edge studio is dedicated to brow perfection and care. Find out why we are the leading studio for eyebrow threading in Vancouver!